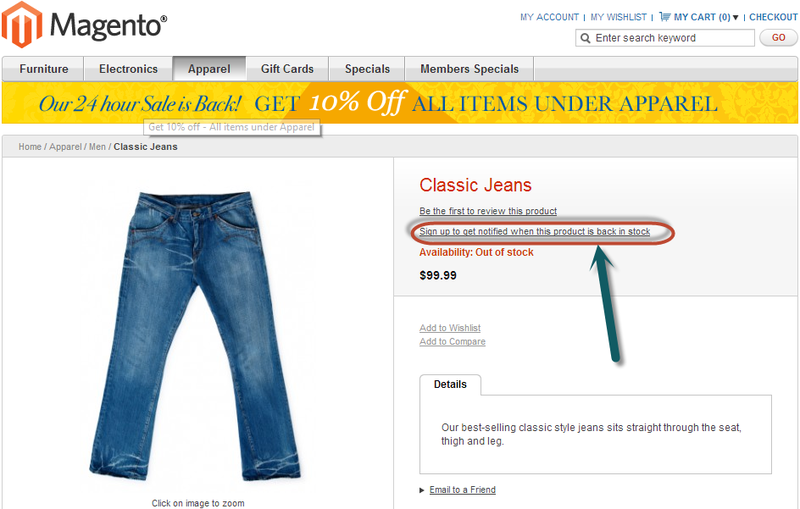 Magento having a good process that if a product is out of stock then there should be a link for product notification. when the product back in stock it will send a mail to user. To set up Magento Product Alerts please go to System > Configuration > Catalog > Product Alerts then select Yes to "Allow Alert When Product Comes Back in Stock" field. 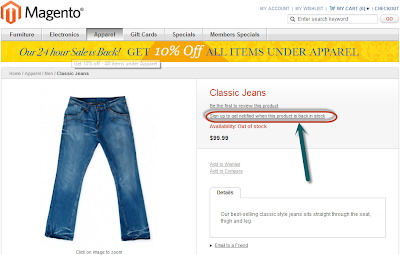 When user logged in and click to "Sign up to get notified when this product is back in stock" link, the user email will store in product alert table in Magento. Set in stock for this product in admin, an email will be send to user subscribed. Actually, email not send. Why??? ?